We have no idea if Nintendo is going to keep making Kirby Star Allies content, but for now, I'm really enjoying the 2.0 update that went live today. 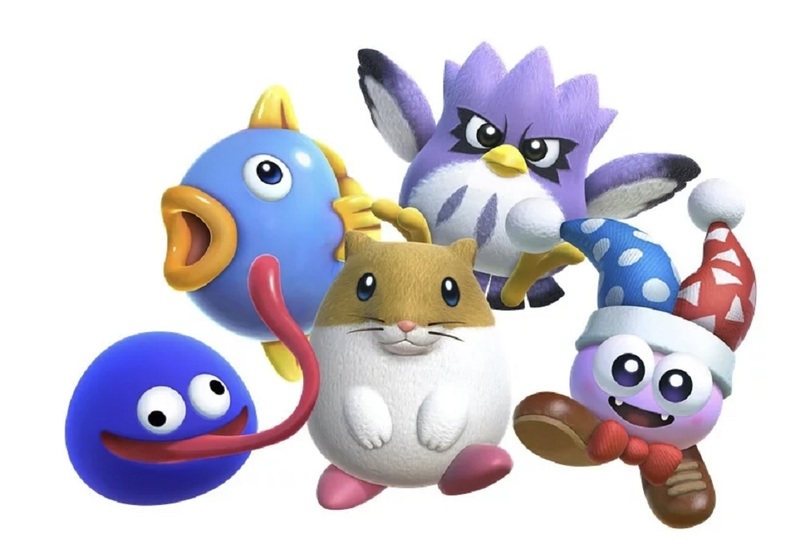 In short, among small visual fixes and the addition of a new celebration puzzle picture, 2.0 adds in new free DLC characters -- Coo, Kine, Rick, Gooey, Marx. Note that the former three (the trio from Kirby's Dream Land 2) are actually one unit, while the latter two are individual characters. After updating you'll find them available to recruit in various Dream Fortresses in addition to Bandana Waddle Dee, Meta Knight, and King Dedede. Time to start my third playthrough!